As the autumn leaves dance and twirl, I'm reminded that it won't be long before we celebrate the holidays. To avoid the last minute hustle it is good to think ahead. Preparing our heart and keeping our focus on Jesus takes planning too - otherwise the weeks fly by in a blur before we rein in what's important. Using an advent devotional or activity is a wonderful way to engage the whole family with the central message of why Jesus came. 1. What traditions do I value most during this time of year? This may be a family party or a cookie swap at your church. You may enjoy the live nativity or reading Scripture on Christmas Eve. Be sure to put these on your calendar first to help when responding to other invitations and opportunities. One of our favorite activities revolves around the reminder of what Christmas is all about. So, we watch Charlie Brown’s Christmas on Christmas Eve as a family. Christmas Eve is really big in our home. We have special foods, play Christmas music, eat while we watch Christmas movies, and end with Charlie Brown before bedtime. 2. What other events will I include in my celebrations? This includes church events, concerts, school programs, community events, parties and gift exchanges. Do you decorate the tree as a family? Plan a special Christmas breakfast? Visit shut-ins or go caroling? When we are purposeful in deciding on what is included on our calendar, we will have more insight into what we can and cannot do. 3. What things can I let go of because of busyness or a change in my life situation? Maybe in the past you’ve spent days baking dozens of kinds of cookies for cookie trays but due to finances, change in family dynamics, a new living situation, or illness you can’t do this the same way. Every season of life is different and we need to give ourselves permission to adapt to the changes. Giving ourselves grace will help to overcome guilt and fear of disappointing others. Each new season brings new ways to celebrate. Instead of wrapping gifts, use gift bags or reusable shopping bags for each family. 4. How much decorating will I do this year? When my children were all at home, they helped with the decorating. Since my husband and I have an empty nest, I have simplified. I love a wreath on the door and candles in the windows. I decorate my hearth and have a tabletop Christmas tree. Pine cones and glass Christmas balls in a bowl on the table is simply beautiful. I find it is easier to set up and quick to take down after the holiday. Simple can also be festive. 5. How much will I spend on gifts for each one on my gift list? Being realistic about our resources alleviates stress. Planning ahead may give you time to save for gifts or decide that you may try giving more handmade items. Create your gift list early and jot down ideas for each person. Be intentional, shop early, and don’t overspend. Order online and have gifts shipped directly to family living out of state. This article on low cost gift giving may help. 6. Am I able to do all the cooking for dinner guests or do I need to ask others to contribute items to the feast? Do you host Christmas dinner for family and friends? Ease the burden and create community by asking family dinner guests to bring an appetizer, vegetables, dinner rolls, beverages or a dessert to help with your dinner preparations. Simply provide time for everyone to pop their dish into the oven for warming. Most of the cooking can be done ahead of time, allowing you to spend Christmas morning enjoying your family time. 7. How will my family prepare for the Advent season? 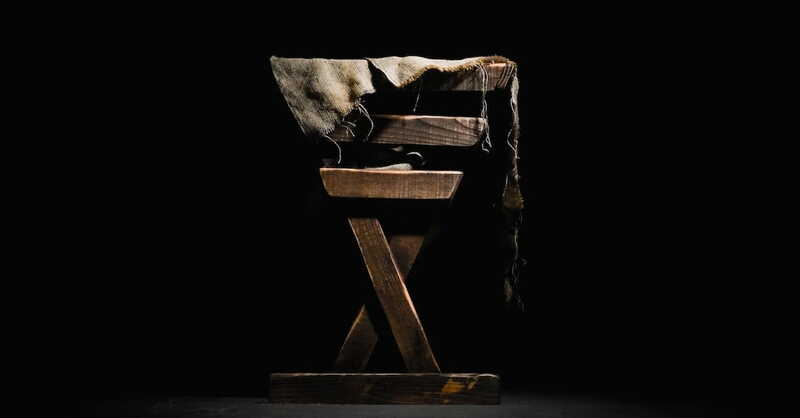 The Advent Season reminds us of His Coming - both as the Messiah, born as a baby - and as the Coming King of Glory. We anticipate the second Coming of Jesus in the same way the Jewish people watched for their Messiah. This first and second Advent have something in common—they mean, Someone is Coming! When my children were very young we had an Avon Advent calendar so our children could count the days to Christmas Eve. We also read the Christmas story together from a children's Bible and other story books. If you have children, Focus on the Family has a free Advent resource for you to use this Christmas. It is filled with downloadable activities and lots to learn about the meaning of Advent. Download a free copy of "A Baby Changed Everything". Journey through the first Christmas in Luke and Matthew’s gospels. Meet the characters in their daily events in this 7-day Advent e-book with daily discussions. This is perfect for families, small groups, or individuals. Others have used the Jesse Tree with symbols of the Christmas story. These symbols are depicted on tree ornaments along with short devotionals to read each day. Whatever you do to focus on the deeper meaning of Christmas, it will take some planning. Read Luke 1:5 - Luke 2:40 and Matthew 1:18 - Matthew 2:23. List the characters in the Christmas story. Create a timeline of events using a roll of brown postal paper or some butcher paper. Illustrate it as a family. Describe some of the obstacles they faced. For each character, choose a word to describe them. How does their trust and belief encourage you? Why was it important for Mary to believe the angel? What might have happened if Joseph didn't listen to His dream? Draw a picture of this story. Being intentional about your preparations – for both heart and hands – will create a more peaceful celebration as you ponder the true meaning of the season. I hope this will bring you joy as you usher in all that Christmas means as a believer in Christ. Jeanne Doyon loves encouraging others to draw nearer to the Lover of their souls. She connects the Truths in Scripture to the ordinary events of life and shares her reflections on her blog. Jeanne enjoys photography, tea with friends, creating with beads and looks forward to being a grandma. She and her husband, John enjoy their empty nest but wish their children weren’t so far away. Email Jeanne at jeanne.doyon@gmail.com and find out more about her speaking topics at JeanneDoyon.com.